The man, the legend, the best guitar player of all time; Jimi Hendrix was a superstar of the likes of which we’ve never seen before or since. 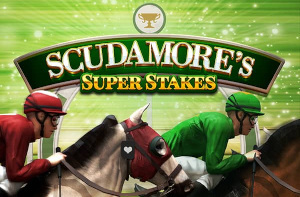 But does this slot game live up to its iconic namesake? Jimi Hendrix played the guitar like an alien who’d landed on earth from a planet where they just played guitar all day. The man was unreal, Godlike, and an innovator way before his time. 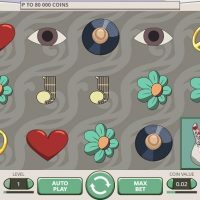 And though it wouldn’t be right to compare a simple game to the legend himself, this slot does feel innovative way before its time. 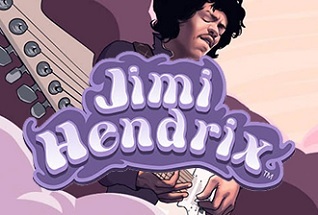 The gameplay is awesome, the visuals are beautiful, the animations are excellent, plus you get to play whilst listening to some of Hendrix’s greatest hits. How cool is that?! 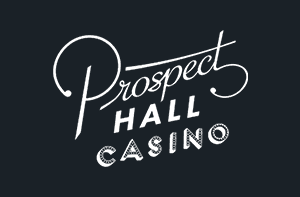 When it comes to the symbols, they’re all related to Hendrix and the 60’s culture with Hendrix himself, two guitars, a peace symbol, a love heart, a vinyl, a flower, an eye all featuring plus the traditional A’s, K’s, Q’s, J’s and 10’s. 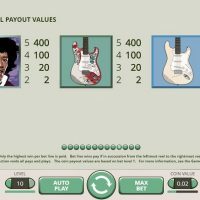 If you hit five Hendrix symbols in a row you will be paid out 400/1, that’s the best symbol to hit. 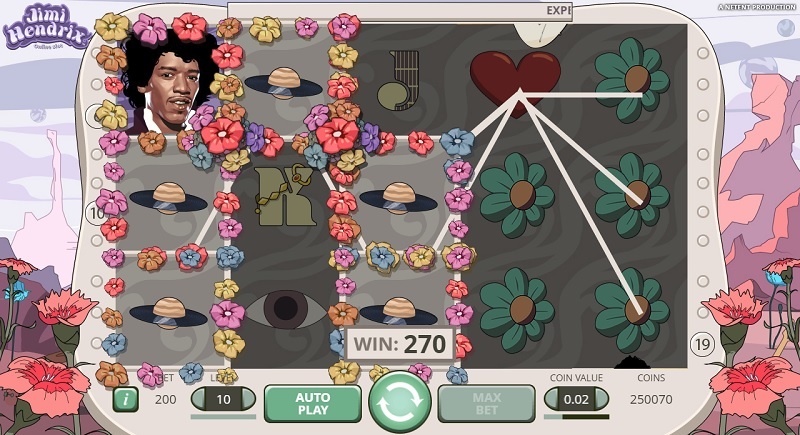 There are four different bonus rounds on Jimi Hendrix, three of them consist of free spins while the other is a coin win which sees your wins multiply between 8 and 30. You’re not able to bet on lines but there is a wide range of betting – between 20p and £200 per spin. The house edge is 3.09%. 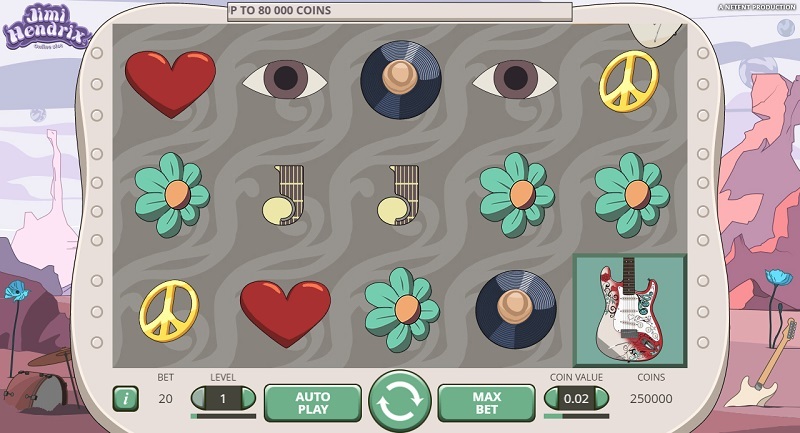 There is an autoplay feature which is very good and comes with a number of autostop options. 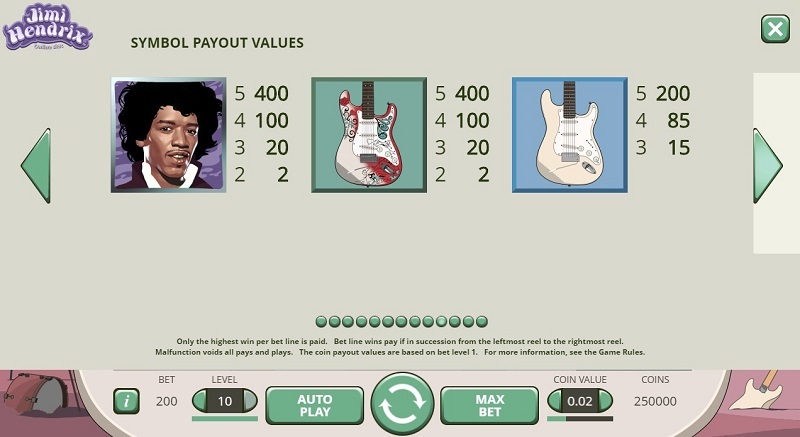 Creating a slot game which bears the name of the great Jimi Hendrix is no easy feat. Imagine creating something truly awful and having the legend’s name plastered all over it. It would be a disaster for all concerned. Thankfully, this game is anything but a disaster. 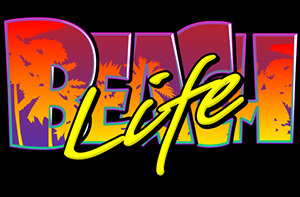 And as it’s created by Net Ent, would you expect anything else? 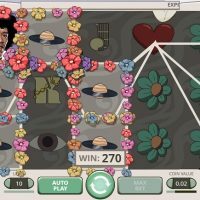 With great graphics, awesome gameplay, a really cool bonus round with multiple features, and a very favourable house edge; the Jimi Hendrix slot does a top job at living up to its immense name.